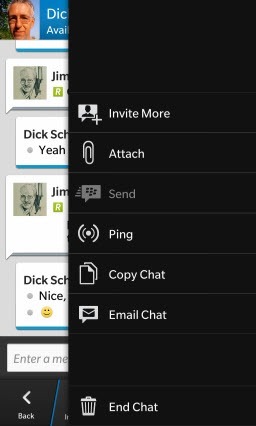 Yesterday BlackBerry began the rollout of its BBM (BlackBerry Messenger) service for iOS (iPhone and iPad) and Android phones. 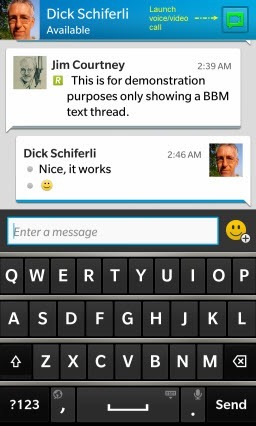 For several years I have used BlackBerry Messenger for fast, efficient text communications with other BlackBerry users. Last winter BlackBerry introduced a free BBM voice calling service for legacy BlackBerry owners; with the launch of BlackBerry 10 in February, they added high definition video calling between BlackBerry 10 devices. With the video calling also came a screen sharing capability that allows users to share their BlackBerry screens during a video call. Over the next few months BlackBerry will introduce all these features into BBM for iOS and Android. 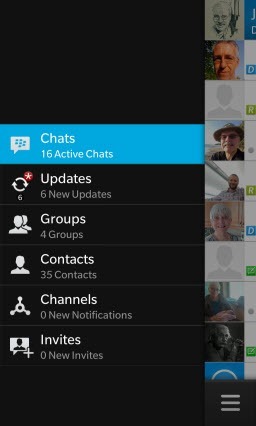 In addition it will include a feature called BBM Channels which supports social networking via unique mini-blog posts using BBM. 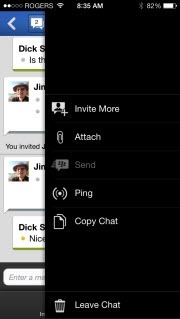 A very similar navigation interface to BBM on BlackBerry 10. 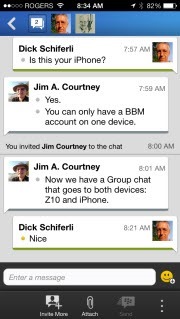 So what does BBM (or BlackBerry Messenger) for iOS and Android do initially? Share these messages with individuals or groups. 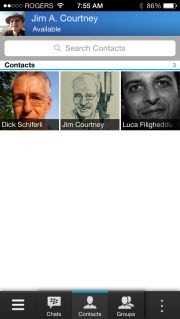 Create your own user profile with a picture, your name and your status (which may be linked to, say, FourSquare for updates). In the next few months, BBM for iOS and Android will add voice calling, video calling with screen sharing and BBM Channels. messages can be longer than 140 characters. 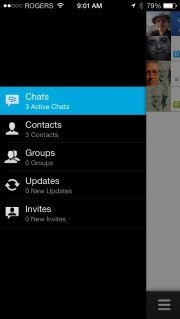 There are over 60 million users of BBM on BlackBerry devices. 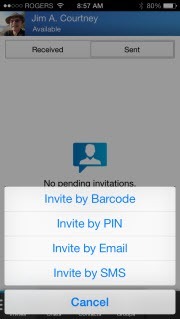 Over six million had registered to use BBM for iOS and Android prior to its launch. On its launch day it topped the free iPhone Apps charts in the U.K. and Canada and was number 2 in the U.S. It works over both WiFi and carrier data channels. It replaces the need to use SMS messaging with its associated charges (especially when traveling outside your home country). And it’s fast; no delays. 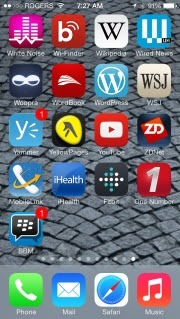 On your iPhone, iPad or Android phone browser go to BBM.com. That will take you directly to the app in the relevant app store for installation. Look for the response email (this may take a few hours) and then go back to the application and set up your account. Note: if you previously had an BlackBerry Messenger account on a former BlackBerry device, you will be able to access that account, with all its contacts, and move it to your iPhone/iPad/Android phone. Hint: if you get the email and the registration process appears to freeze, close the app totally and restart it. To close on iPhone double click on the Home button, swipe across to find the BBM and swipe up to close (iOS 7 only); or hit the minus sign (iOS 6). 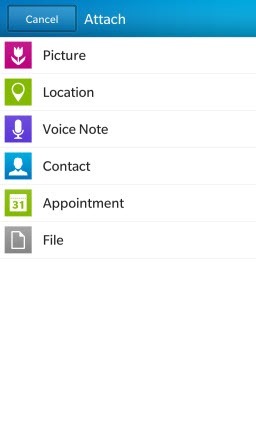 On Android go into Settings | Applications, find BBM and close it. 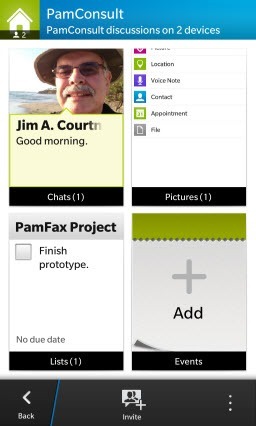 Bottom line: BBM for iOS and Android brings along not simply enhanced cross-platform messaging but also collaboration features. Being free, it’s also a great app to overcome SMS messaging charges, (WiFi or carrier data plan is required). Having used it extensively for a few years (and especially as it has evolved into a full conversation and collaboration platform), definitely recommended. Go to BBM.com on your device to get started.